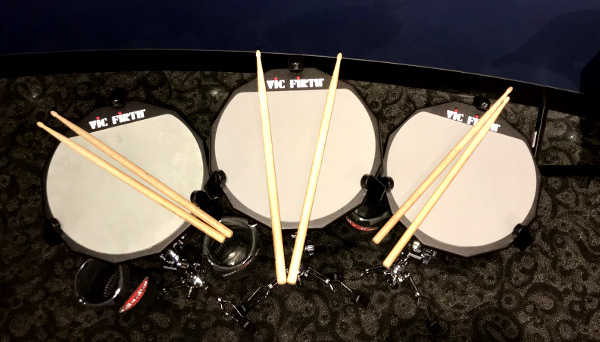 Drum rudiments are the core building blocks for drum beats and fills, in the same way that letters and words build sentences. From their early use in signalling military troop movement, to their use in marching bands today, mastering these patterns brings fluidity, skill, and speed to performers. Learn the basics of drumming by watching short videos from expert drummers or reading the music directly from the walls. Practice your rudimental knowledge on the practice drum pads throughout the exhibit. Discover the evolution of drumming that led to the creation of the Percussive Arts Society International Drum Rudiments.